The East Parcel is a part of a former General Motors assembly plant that was left vacant since 1990s. 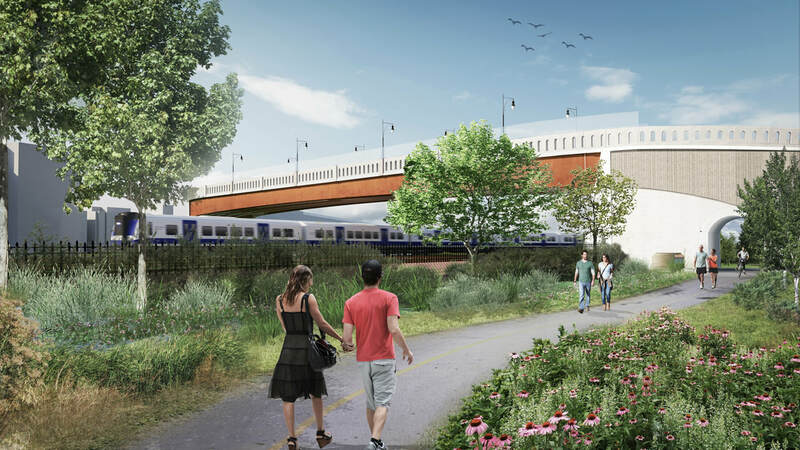 It is located near the Hudson River waterfront, across the Metro North train tracks from the West Parcel, which is being planned and designed as a destination for live, work, and play. The East Parcel is of significant value to the Village of Sleepy Hollow to increase recreational space and enhance connectivity to the waterfront and existing recreational fields. The area will be the center for future recreational activities, sport events, and community gatherings. It will also house facilities for the Department of Public Work. The LDC envisions this former GM site as Sleepy Hollow’s future “central park” and a regional destination. 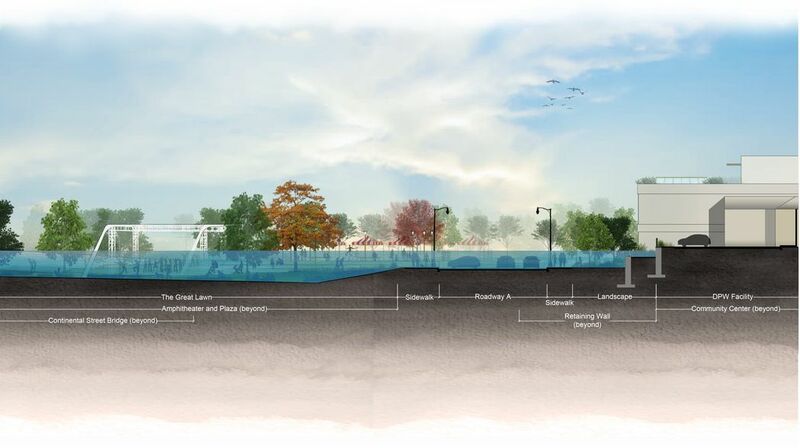 Its redevelopment is a key step in the community’s reclamation of the Hudson River waterfront. 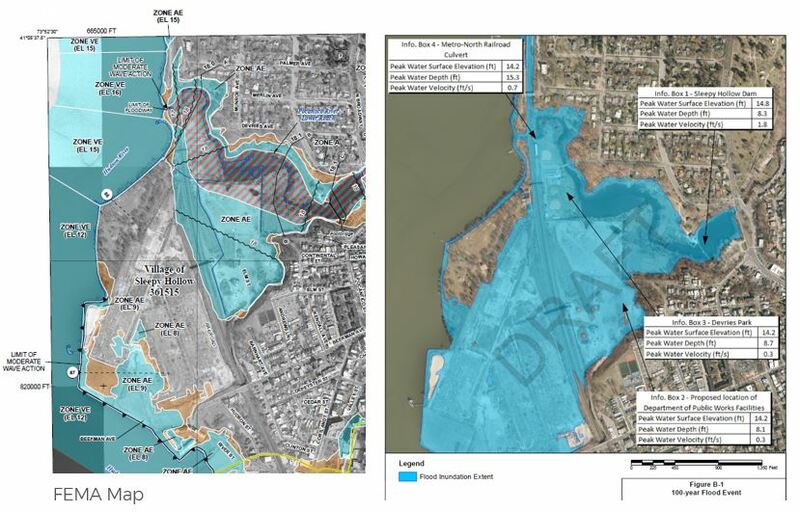 The 20-acre brownfield site provides a series of design challenges, including providing edge treatments that are sensitive to the adjacent historic Philipsburg Manor and other historic properties, the raising of half of the site out of the floodplain, connections to surrounding development and open space, and the integration of a planned bridge over the adjacent Metro-North railroad. 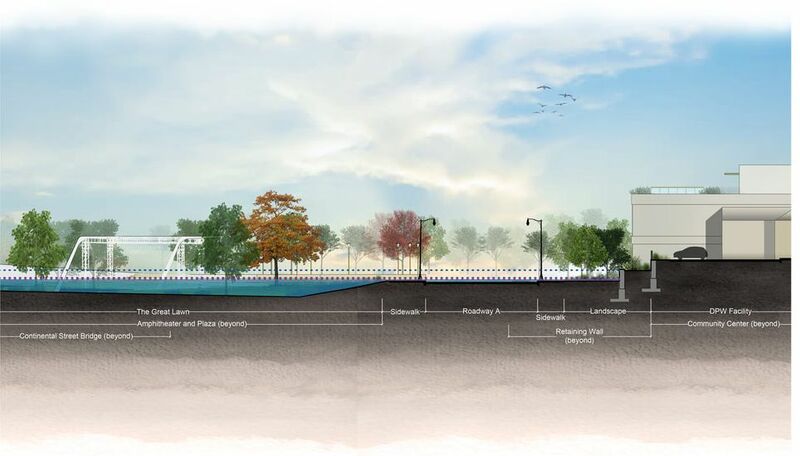 Key design features of the park include a combination of passive and active recreational uses, an extensive multiuse path system, a “great lawn,” and a 300-person amphitheater with views to the new Tappan Zee Bridge.